Do you drink smoothies? I am a huge fan personally- especially for breakfast or a filling afternoon snack. 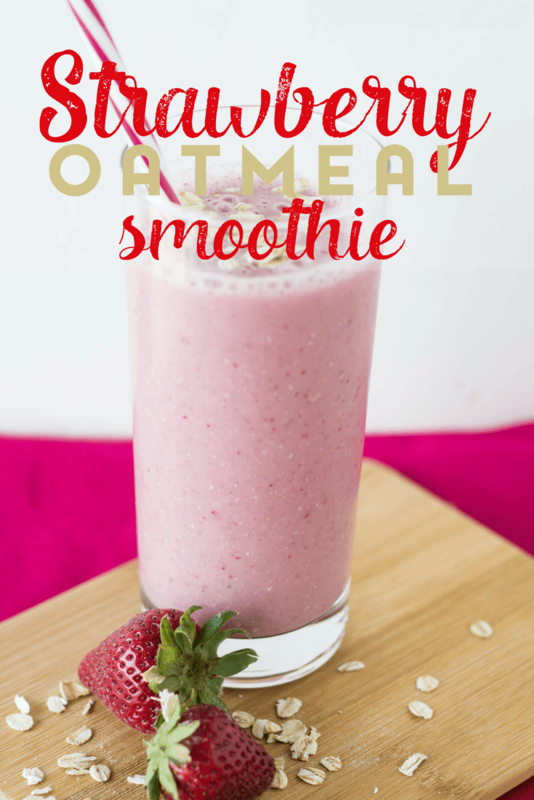 And with thanks to my wonderful blogging friend Donella, of Gluesticks and Gumdrops, I’m happy to bring you this strawberry oatmeal smoothie recipe. Preparing a smoothie is quite simple. 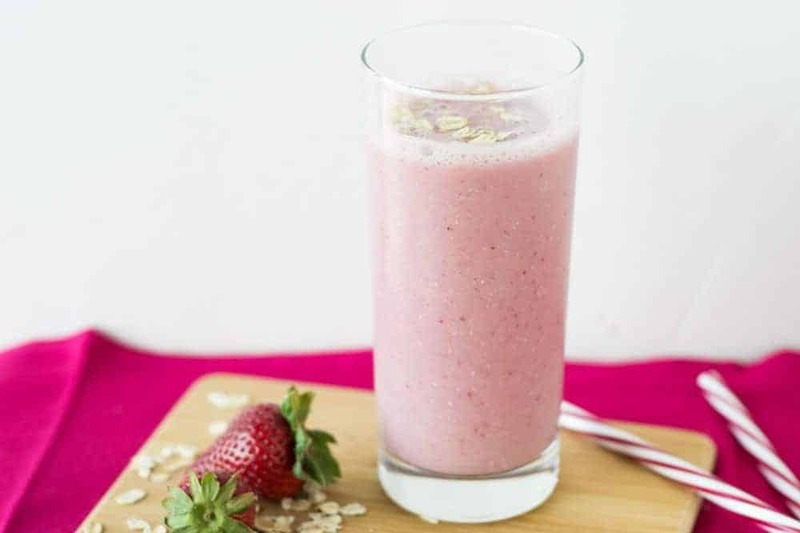 You just need to add the ingredients to a sturdy high-speed blender, one that can handle crushing ice, and blend until smooth. Garnish with fresh fruit, chocolate shavings, or your favorite topping. 1. 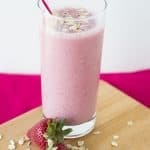 Using ice or frozen fruit will create a thicker consistency than using liquids – but beware, if you use ice, your smoothie may not have a creamy texture. 2. Make sure your ingredients are cut into small pieces. Blackberries, blueberries and raspberries are typically small enough as is; however, strawberries, cucumber and other fruits and veggies need to be chopped smaller. 3. Add the liquid first so it can help move your ingredients around. 4. If you’re after a sweet treat, use a fruit juice as they contain more natural sugar. 6. Start by blending on a slow setting to get your ingredients moving. Then gradually increase the speed until fully blended. 10. 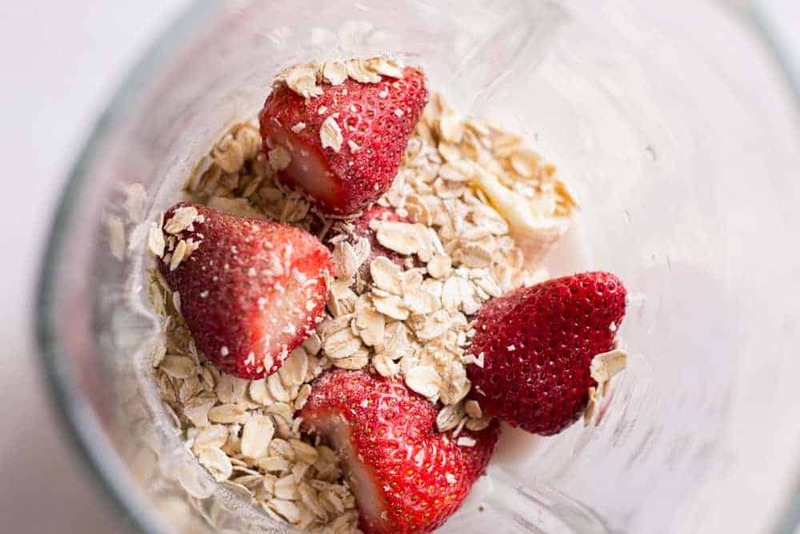 Boost the nutrition by adding ground flax seed, wheat germ, chia seeds, raw cacao, matcha, nut butters, and avocado, oatmeal and protein powders. Combine all ingredients in blender and blend until you have the desired texture and consistency. If you enjoy this combination, you can change it up a little by changing the berries. Or you can add in a little more protein with a tablespoon of almond butter. This gives it an almost PB&J type of texture and flavor. She blogs about crafts for kids, kid-friendly recipes, and meals for families with a bit of parenting and party ideas sprinkled in. I am a mom to one amazing (and active) little boy, and I’m married to a deputy. As you can imagine, our lives are hectic, but sitting down to a family meal or making a craft together is our way of connecting with each other. Thanks for the very helpful tips on making smoothies. 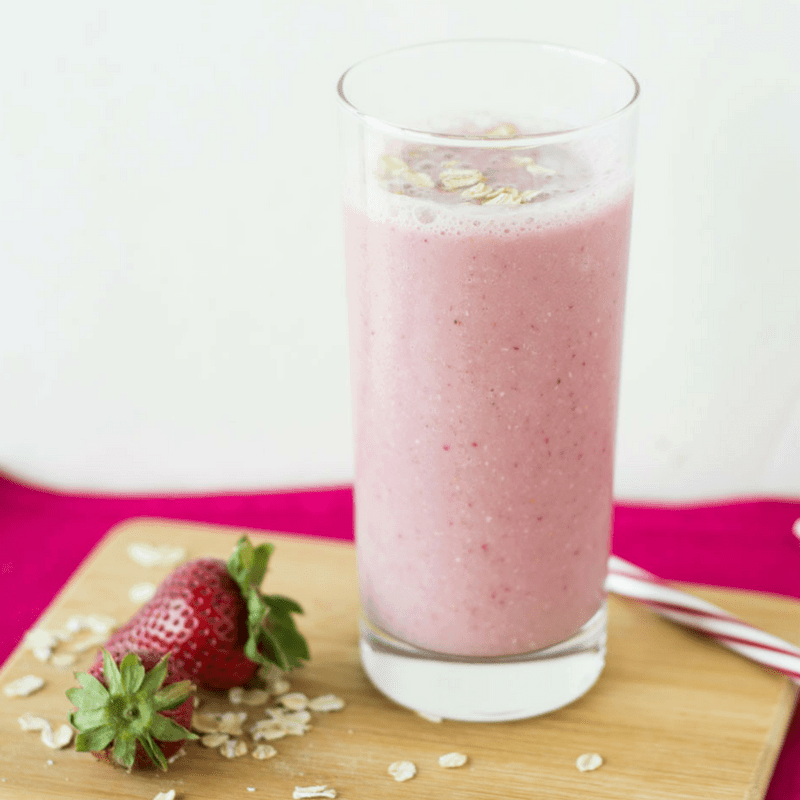 Your strawberry oatmeal smoothie sounds like a good breakfast.